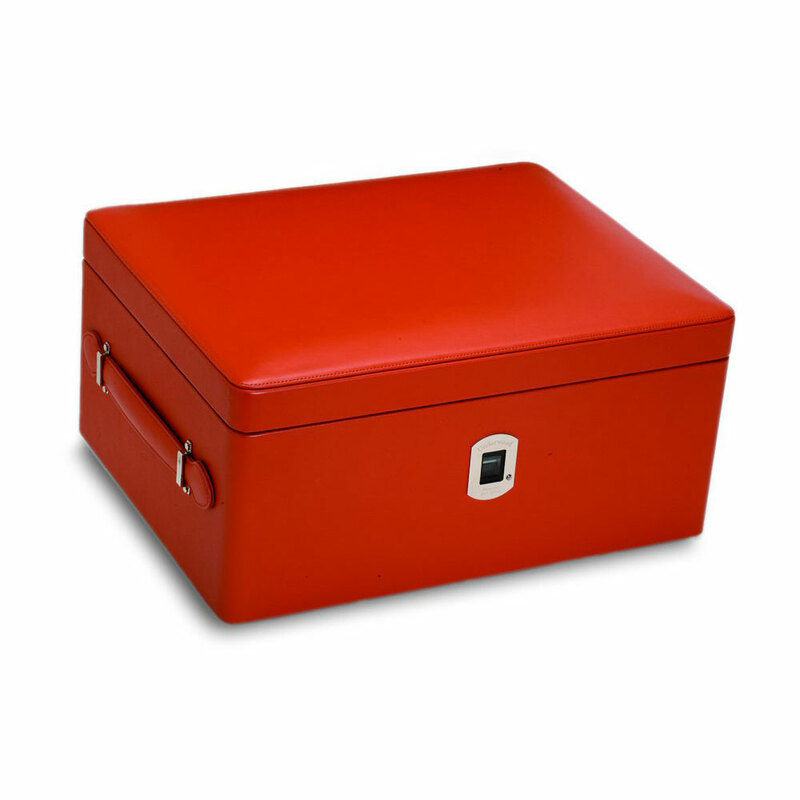 Luxurious, elegant, and secure storage for documents, jewelry and watches. 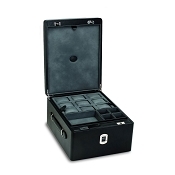 The Underwood Biometric Watch and Jewelry Case - Three Trays is a high end custom handmade watch and Jewelry luxury storage case crafted in Italian leather with using a biometric lock with fingerprint security for access. 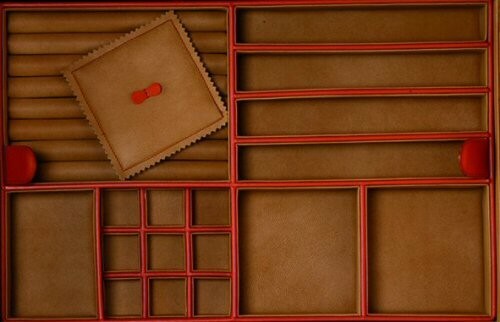 Expensive and made-to-order it designed for to store expensive luxury Jewelry and watches, it offers protection against oxidation with micro fiber lined interior including the trays and watch pillows. An exterior strap enables carry when needed. 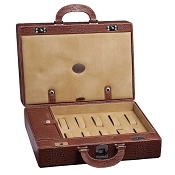 The Underwood Biometric Biometric Watch and Jewelry Case - Three Trays is made-to-order and can be custom manufactured in alternative calf leather colors or exotic skins such as alligator and ostrich. 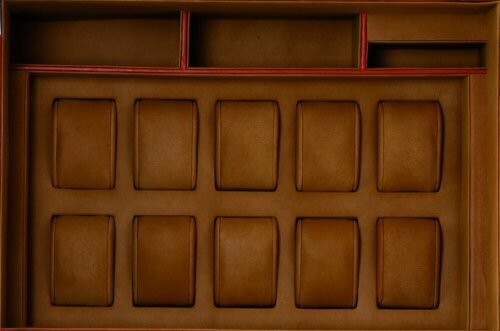 The interior can be custom configured with trays and compartments designed according to your needs. 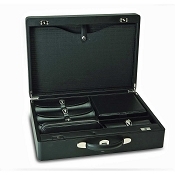 Underwood Biometric Watch and Jewelry Case - Three Trays can be monogrammed or personalized with name, initials, or logo as desired. Unlike keys or passwords, biometric traits cannot be forgotten or mislaid, are extremely difficult to copy, share or distribute. To guarantee maximum privacy and security the fingerprints are not stored as images and cannot be transferred or copied, the system software converts all prints into a mathematical algorithm. The Underwood fingerprint scanning system is basically a stand-alone system which by scanning and recognizing the fingerprint sends a command signal to activate and open the electromagnetic lock system in the case. The system is simple to use. In the beginning the owner only needs to register their fingerprints following a predetermined set of instructions. Afterwards to open the case all that is required is to place the index finger on the scanner and following verification, the command signal to open the locks will be issued. The owner of the system can also allow others to access the case, by scanning their fingerprints access can be granted for up to 90 persons. 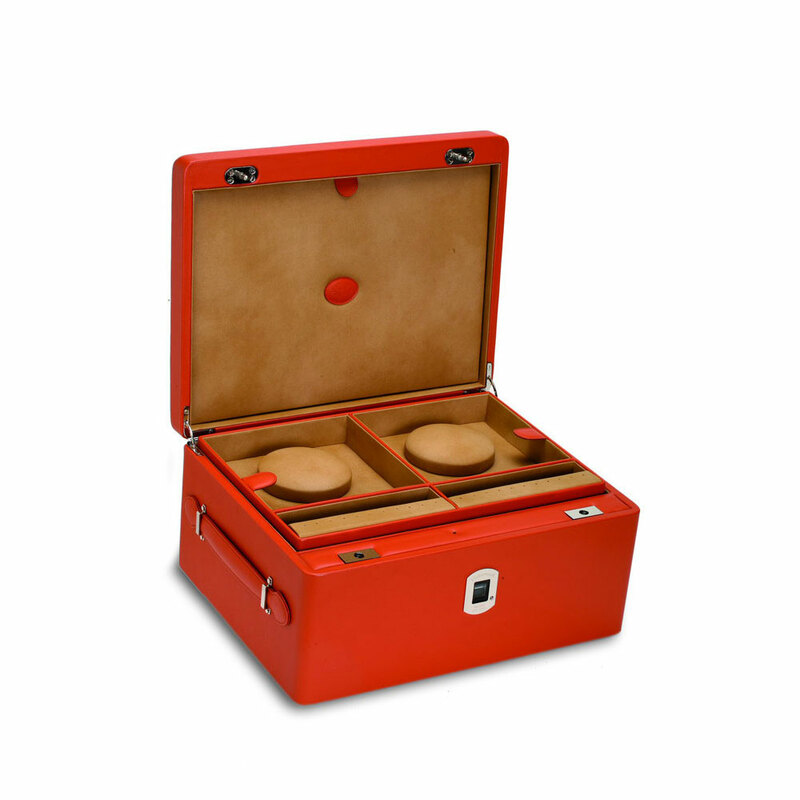 One of the main advantages of the system is the fact that the only way to access the case is by way of the scanner, there is no other way anybody can access the actual locks or command system from the outside, as all of these elements are inside the case. Regarding the matter of privacy and security there may be a fear or concern that the registration of a fingerprint might be a problem, in that someone could possibly access the system and steal the image of the fingerprint, stealing their identity so to speak and possibly using this for illegal purposes. Nothing could be further from the truth because with this system the fingerprint is not stored as an actual image but is coded and transferred into a mathematical algorithm, whereby only certain points of the fingerprint are registered. These points such as whorls, loops, bifurcations and crests etc. are the characteristic points used to determine any fingerprint. It is impossible to reconstruct the image of a fingerprint from this coded information.